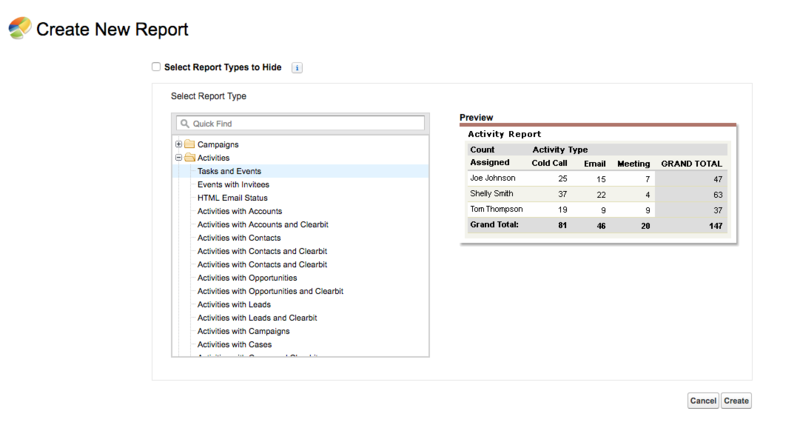 For advanced reports make sure you add these fields to your Salesforce activities. For events created within queues, check the “Create in Salesforce box” under the queue settings. Use the filters at the top to filter on a period, creation date, start date, creator. And you can filter on any of the filters below (or a combination of all of them).